This image is one of over 100 photos and images of old Austins here at Classic Austin & Morris. Shown is the Austin A30 engine bay photo, one of several I've taken of classic Austins at classic & vintage car shows in the UK. To see photos of similar old Austin models, including Austin commercial vehicles and Austin saloons, please see the homepage menu. You can also check out all the parts suitable for this Austin on ebay by scrolling down this page (jump to ebay). Extra info on this classic Austin: Our old A30 had a 948cc engine and carb from an A35 to give it a little more ooomph. 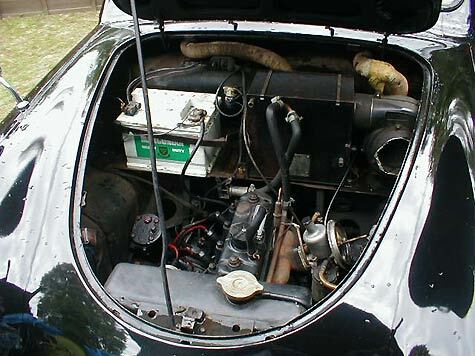 There are more photos of old Austins similar to this one of an old A30 engine bay - please see the homepage menu.